New, comfortable and equipped rustic style suitable Barichara. Spacious apt. 74 meters of area, fully furnished Barichara style, two bedrooms (the master with full bathroom) a second full bathroom, living room, dining room fully equipped kitchen, refrigerator, clothes area, private parking. 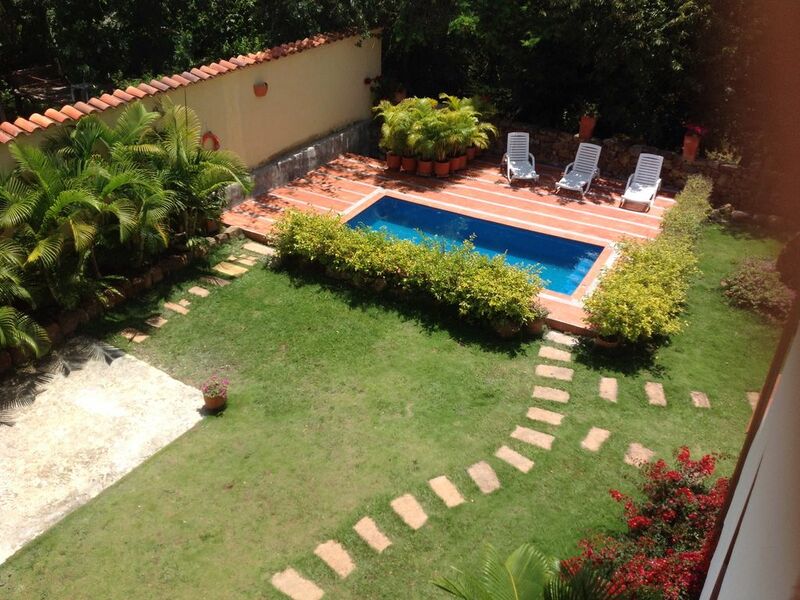 El Retiro Barichara condominium located next to a forest where the Barichara stream runs has beautiful gardens, jaccussi pool, stone fountain, total energy plant with transfer, water reserve of 36,000 liters. Its ideal location at the entrance of the town (3 blocks). Full bathroom with shower Barichara style. In retirement Barichara can enjoy sunny days and cool nights. At dawn singing diversity of birds and the occasional visit iguanas. El Retiro Barichara is located at the entrance of the village, guests can enjoy some beautiful natural landscapes, jaccussi pool, beautiful jardinesfuente stone and a beautiful stone patio Barichara around which are located the properly equipped with kitchens, refrigerator, large beds, acclimated and decorated like a typical sector such as furniture and rugs made of rustic wood and sisal, a fiber characteristic of the region that has been used since ancient times by the Guanes Indians.